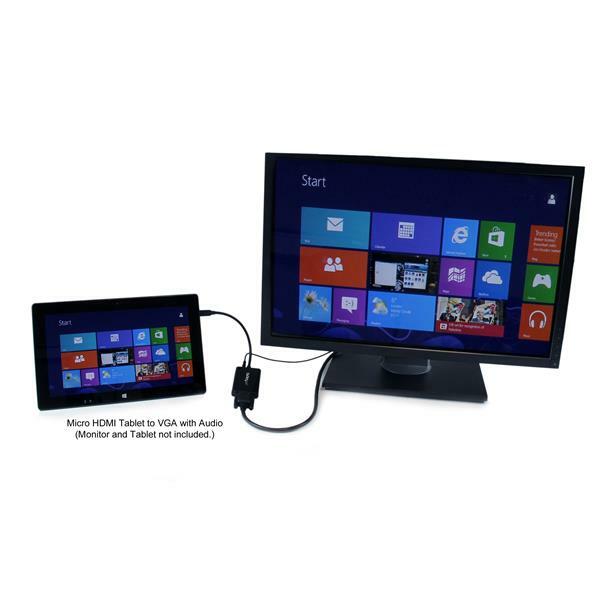 The MCHD2VGAA2 Micro HDMI® to VGA Video Adapter enables you to connect a Smartphone or tablet that outputs content through a Micro HDMI connector to a VGA-capable display device (television, monitor, projector), and also offers discrete 2-channel analog audio output from the Micro HDMI® source. 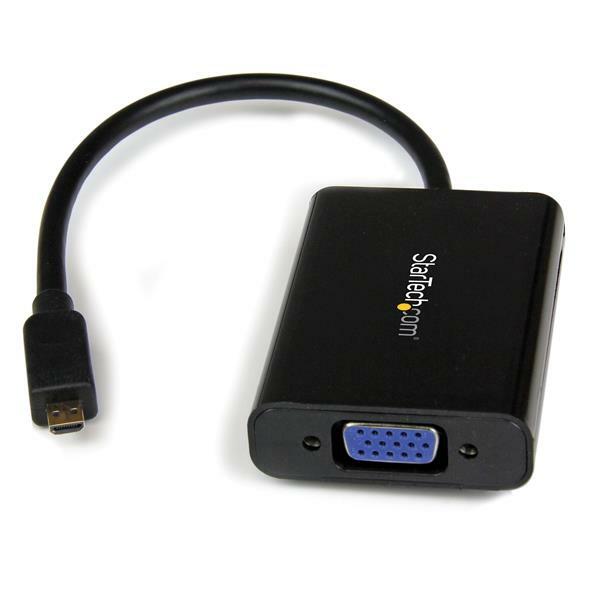 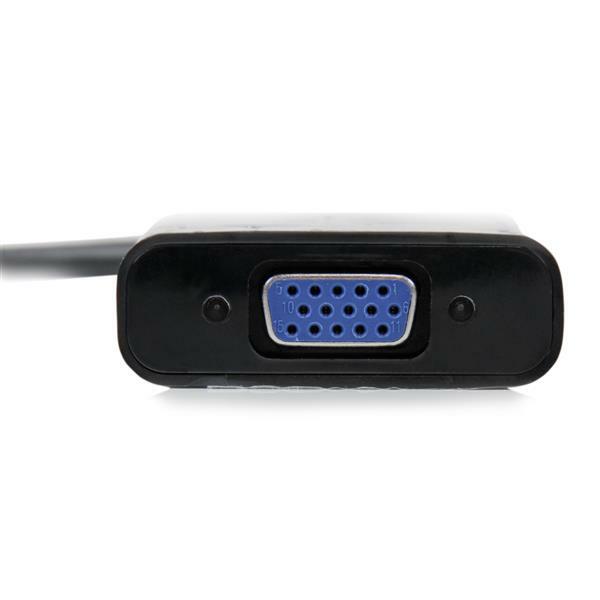 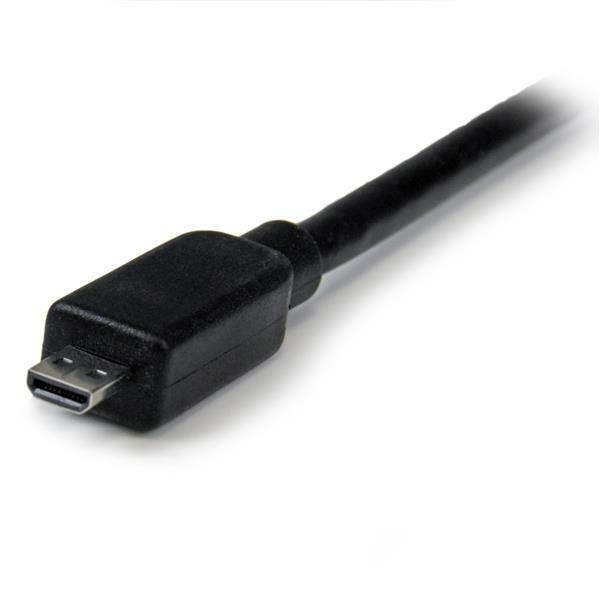 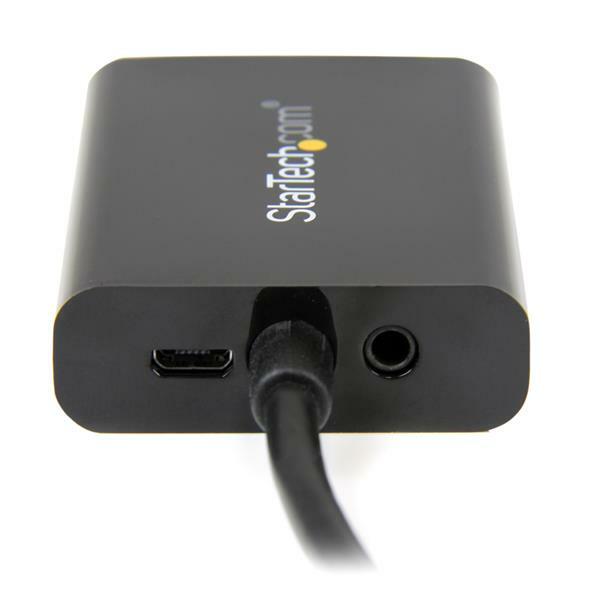 The Micro HDMI to VGA adapter is intended for displaying user generated content such as presentations, documents, and work sheets onto a VGA projector or monitor. 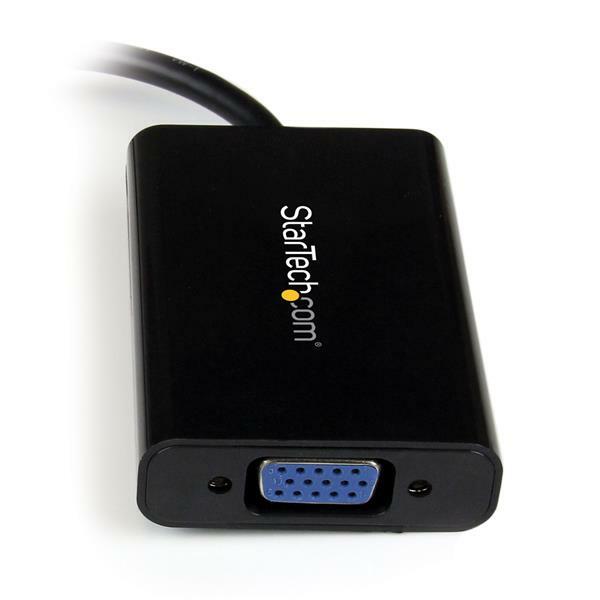 This versatile adapter supports high definition output, including 1080p for HDTV connections, and up to 1920x1080 for computer VGA monitors. The MCHD2VGAA2 Micro HDMI® to VGA Video Adapter is backed by 3-year warranty and free lifetime technical support.